Sen. Rand Paul (R-KY) has vowed to force the expiration of the so-called PATRIOT Act on Sunday. 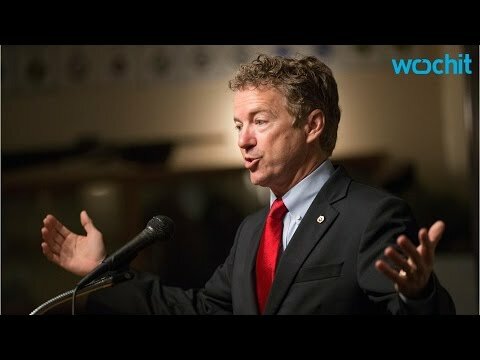 Paul is right that it is unconstitutional and in this regard he is a better constitutional scholar than Barack Obama, whose stance on this issue is, to say the least, disappointing. Obama is not interested in the Fourth Amendment. PBS Frontline says that the National Security Agency didn’t even bother to read him into its massive domestic surveillance program until 2010, two years into his first term, and that when they did, he just sat there and nodded approval. You have to wonder if they are blackmailing him in some way, though there isn’t any reason think that. This kind of surveillance is corrosive of democracy, because we can never trust elected politicians on whom the super-spies might have dirt. The so-called PATRIOT Act was pushed as an anti-terrorism measure after 9/11, but it was never about terrorism. The bureaucrats and the GOP had clearly had such an assault on civil liberties and the US Constitution prepared in the 1990s. Rep. John Conyers (D-MI) once told me the story of how this 1100 page bill was dropped on all the congressmen and women late one afternoon and then they were expected to vote on it the next day. He doubted that anyone even read it. But the point is that the bill was off the shelf and ready to go. It was a preexisting conspiracy. Warrantless and general searches through people’s papers without probable cause was one of the sparks that set off the American Revolution. The Fourth Amendment was enacted to ensure that the abuses that occurred under the crown would not continue in the Republic. In 2001 the PATRIOT Act abrogated the Fourth Amendment. Section 213 of the unconstitutional Patriot Act allowed “sneak and peak” searches, where law enforcement did not even tell the suspect that his or her premises were being searched. Only 0.5 % of searches conducted with these secret warrants involved terrorism. Mostly, they have been used in the “war on drugs.” That “war” is, in turn, likely an attempt by liquor companies and pharmaceuticals to make pot and other recreational drugs expensive and hard to get, so as to cut down on competition. All that is not to mention Section 215, which has a secret interpretation inside the FBI that differs from that of the congressmen who authored the act and passed it. (Sen. Ron Wyden found out about this but was prevented by the PATRIOT Act from revealing it to the public!) We know from the Snowden revelations that this law and some executive orders are used to authorize absolutely outrageous warrantless snooping into the affairs of millions of Americans. If you know who someone calls and for how long, and where they are when they do it, you can figure out all sorts of things about him or her. Does she call an abortion clinic? Does he call a venture capitalist? Do public officials have any vices as revealed by their calls? Of course, the National Security Agency goes way beyond just collecting and storing Americans’ call records. With British help, it scoops up the text of emails and phone audio files, i.e. it gets substance and not just metadata. But the metadata would tell them a lot. We also now know that the metadata is shared with the Drug Enforcement Agency, which uses it to prosecute drug dealers but routinely lies to judges about how the case developed. While it is hard to sympathize with drug dealers, whenever law enforcement acts unconstitutionally and illegally, it harms us all.